Microsoft’s upcoming racing game Forza Motorosport 6 is moving towards completion and the result of that is that gamers are getting frequent updates on whats happening to the game. The Xbox One exclusive will make its way on to Xbox One consoles next month. Come September 15 and you will be able to experience what Turn 10 studios has in store for you. 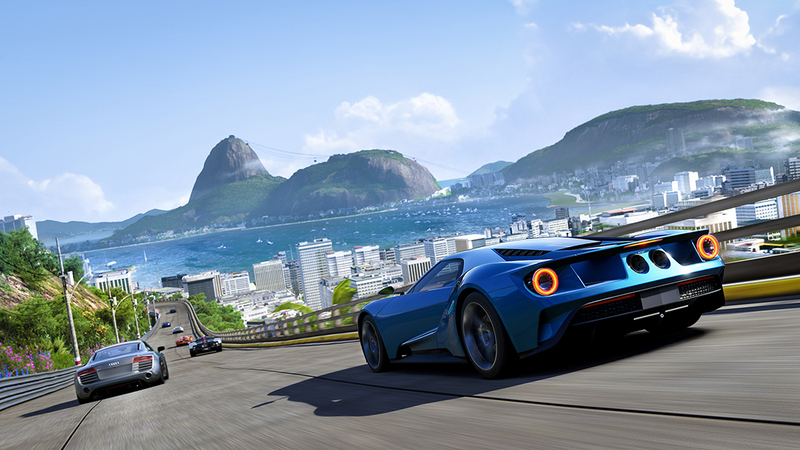 A new teaser trailer for Forza Motorsport 6 has been revealed at Gamescom. This trailer showcases the games amazing weather effects and takes into account the insight of Josef Newgarden who is an American race car driver for CFH Racing. Featuring an entirely new aspect of racing in rainy weather, Forza Motorsport 6 showcases a response system on tracks specially designed for racing in rainy weather. The game also has different responses for different types of surfaces on the track which makes it much more fun and interesting to play. According to Josef Newgarden this special system of response to diverse weather conditions is not available even in the multi-million dollar simulators that the professional racer has driven, making it much more special for gamers to experience it on the Xbox One. Without further ado, check out the trailer below. Stay tuned for further Gamescom coverage at Wccftech and do share your views with us in the comments section.